This entry was posted in products/technical, Rooftop madness. Bookmark the permalink. 4 Responses to Coleman wonder turbine gives 3x the Betz limit! How can anything beat the Betz limit though? My understanding Betz is a idealized theoretical max based on blades with zero drag. Sorry, Roger, I was being ironic. I quite often see products being touted on the internet with improbable performance claims and, like you, I respect the known laws of physics and treat such claims with mild hilarity. I think this is a rebranded version of the Sunforce 600W. The manuals are almost identical and Sunforce are listed for technical support. The Sunforce 600W rotor diameter is 1.31m (giving a Cp of about 0.4) and the Coleman 600W rotor diameter is quoted as 0.65m (giving a magic Cp of about 1.5). 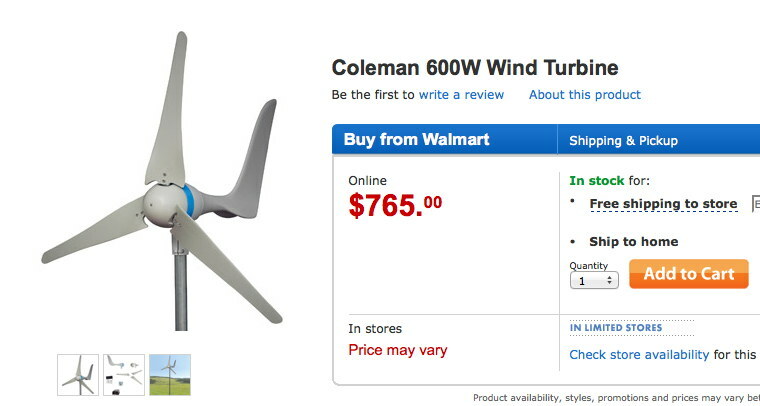 It looks like Coleman somehow mistook the turbine radius for its diameter. The blades look about 2 foot long to me – see figures 11&12. 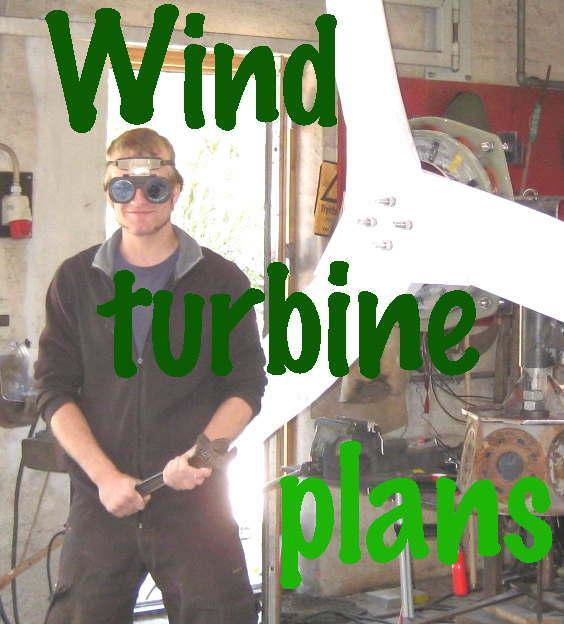 A purchaser might not be disappointed by the turbine’s output, though they may be a little surprised by its size! Thanks, Gavin, I think you have the answer. Although I am still skeptical even after the performance has been divided by four. Still it is physically possible now.